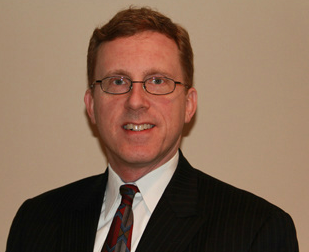 Experienced Elder Law, Estate Planning and Special Needs Attorney For over 25 years, Steven A. Kass, Esq. has been committed to providing efficient and cost-effective legal representation. We believe in building a relationships with our clients and work hard to obtain the best possible result for your case. Attentive to your needs and concerns, we provide knowledgeable representation in the following areas: -Estate Planning -Tax Planning -Elder Law -Planning for Persons with Disabilities and Special Needs -Wills -Living Trusts -Durable Powers of Attorney -Health Care Proxies -Health Care Directives -HIPAA Releases -Medicaid Planning and Applications -Guardianships -Real Estate Family-oriented law firm advocates for your best interests At the Law Office of Steven A. Kass, P.C., we treat every one of our clients as part of our family. Attorney Steven A. Kass and his wife, paralegal Patricia J. Kass, work together to provide the best possible representation for you. We want to help you and your family get the results you deserve. Attorney Steven A. Kass is a Certified Elder Law Attorney (CELA) by the National Elder Law Foundation, which is accredited by the American Bar Association. He was also named a Super Lawyer in 2007, 2009, 2010, 2011, 2012, 2013, 2014, 2015, 2016, 2017 and again in 2018 by Super Lawyers magazine; this designation was published in the New York Times. Preserving your family's wealth for future generations Whether you're planning the parameters of your future medical care or establishing support for loved ones upon your death, the Law Office of Steven A. Kass, P.C. can help with all aspects of trusts and estates issues, including: -Estate planning -Estate tax issues -Choosing the appropriate executor -Guardianships -Living wills -Living trusts -Wills drafting Securing your legacy You work hard for your family, so knowing that you have planned for their long-term well-being and financial security can bring you comfort. We thoroughly analyze your estate and strategize the best means of transferring your assets, minimizing taxes, establishing guardianship for your children, caring for your pets, supporting personal philanthropic causes and protecting your loved ones. Draft your living will and last will and testament A will is essential at every stage of your life. Your living will sets the parameters for medical intervention should you become incapacitated. This assures that when you are most vulnerable, your wishes will be honored. Your last will provides the opportunity to distribute your property, establish care for your children and otherwise express your wishes upon your death. A will is necessary if you intend to leave property to a person or entity other than a blood relative, such as a domestic partner, a friend or a charity. If you die without a will, the court determines how your property is distributed, who cares for your children and even what happens to your pet making decisions that might not reflect your desires. We can draft valid wills that ensure your intentions are honored. Changing your will As your life changes, so might your estate plan. You may need to update your will throughout your life. We draft valid codicils that address changes in your financial situation, marital status, number of children, philanthropic interests and general lifestyle decisions. Appointment of guardianship If you have minor children, your will allows you to make decisions about their future care. This is especially crucial if you are a single parent or if both parents die in a common incident. If you do not name a guardian, the court will appoint a guardian for your children and can make decisions adverse to your ultimate parenting goals. You can also make arrangements for your pets' care in your will, including naming a guardian to take responsibility for your pets. -Matter of DiCecco, 173 Misc2d 692, 661 NYS2d 943 (N.Y. Sup, July 21, 1997). Mr. Kass successfully argued in New York for the rights of seniors and persons with disabilities to implement Medicaid Planning over the then federal law criminalizing such planning. -Matter of Balich, 2003 WL 21649907 (N.Y. Sup. ); N.Y. Slip Op. 51080 (N.Y. Sup., Suffolk City, July 10, 2003). Mr. Kass represented a party in determining that a validly executed Health Care Proxy and Durable Power of Attorney are the least restrictive alternative for a person's personal needs and property management if the Agents are acting within the scope of their authority; the appointment of a Guardian was denied.